Julio Estrada Velasco (born 10 April 1943) is a composer, theoretician, historian, pedagogue, and interpreter. Lylia Vásquez, – Piano /Álvaro Bitrán – Violoncello. Grabada en la UAM-Iztapalapa, México, 1982. Tagged 1982, Álvaro Bitrán, CLASSICAL20.COM, Julio Estrada, Lylia Vásquez, piano, Violoncello. Krzysztof Penderecki (*1933): Symphony No.2 “Christmas Symphony” (1979/1980). Polish Radio Symphony Orchestra of Krakow diretta da Krzysztof Penderecki . Olivier Messian´s “Oriason” is written for the early electronic instrument, the Ondes Martenot, a close relation of the theremin. Ensemble D´Ondes Martenot De Montréal. 1992. Jonathan Harvey | Bhakti: for Chamber Ensemble + Quadrophonic Tape | Nouvel Ensemble Moderne | Conductor: Lorraine Vaillancourt | Montaigne | 1999. 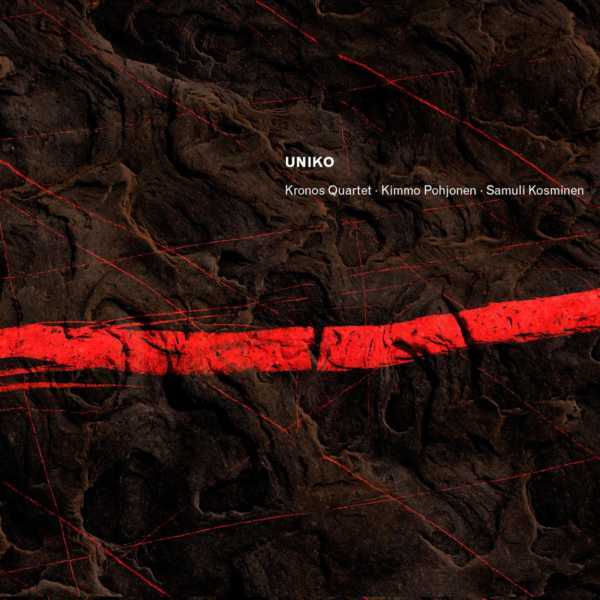 From the album “Uniko”, commissioned by Kimmo Pohjonen & Samuli Kosminen for the Kronos Quartet. “Uniko” was composed over an eighteen-month period before its world premiere in Helsinki in September 2004. Kimmo Pohjonen (born August 16, 1964) is a Finnish accordionist who has revolutionized accordion sounds and performance with his custom-made electrified and modified instrument. Since the mid-nineties he has released numerous albums and toured the world with various projects. Recorded at Avatar Studios, NYC, 2007. Additional recordings at Greenhouse Studios, Reykjavik and Ulappa, Helsinki, 2008-2010. Mixed at Greenhouse Studios, Reykjavik and Seawolf Studios., Helsinki.